Cornrows are intricate braids that are tightly woven through the hair using small sections of hair in each braid. They sit tightly against the scalp. Cornrows can be decorated with beads or woven together into different styles and shapes. The problem with cornrows is that they tend to be worn for a very long time, which can cause an itchy scalp. 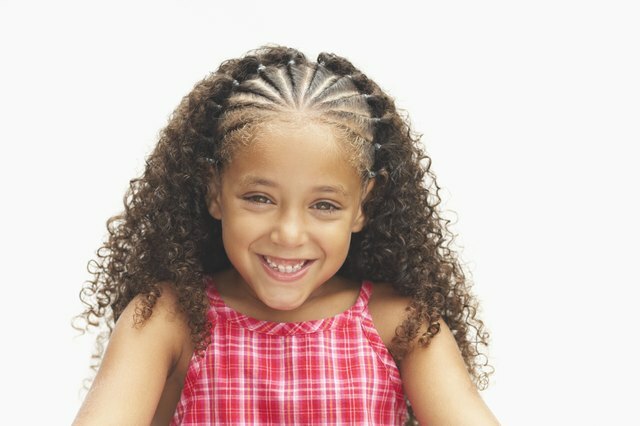 You can manage the itch of your cornrows without ruining the braids. Pour a small amount of shampoo into the palm of one hand while holding the toothbrush in your other hand. Rub the toothbrush into the shampoo. Start at the nape of your neck and slowly move up, rubbing the toothbrush onto your scalp between the cornrows. Continue to do this between each row from the back of your head to the front. Rinse the shampoo from your scalp with a handheld shower head set on the finest spray, or use a spray bottle filled with clean water over the sink. Condition with a special conditioner for cornrows that is specific to your hair type. You can shampoo and condition your scalp once a week while the cornrows are in place. Between washes, massage scalp oil onto your scalp to keep it from drying. Make a solution of 4 parts witch hazel to 1 part water. Add a small amount of fragrant essential oil such as jasmine or rose for a nice scent. Pour the solution into a spray bottle and refrigerate it overnight. Shake the bottle gently and spray the solution right onto the tracks of the cornrows. Do this twice a day. Remember to keep the solution in the refrigerator when you are not using it and shake the bottle well before each use. Rub tea tree oil on your scalp between the cornrows. Pour just a drop or two into your hand and rub it gently onto your scalp. You can do this twice a day. Apply a scalp relief antiseptic to your scalp if continues to itch. You can find an antiseptic that is right for your particular skin type. For a nice touch, add a few drops of tea tree oil to the antiseptic. Some of the products consist of all-natural ingredients, so feel free to rotate them in a combination that works for you. Allow your hair and scalp to breathe by refraining from wearing cornrows or weaves for a few weeks at a time.